Round Robin – How do you self-edit your work? How do you self-edit your books before submitting or publishing? This is the question Rhobin asked us to consider in March. Self-editing is a complex process and I’ve taken a few days of thought to work out what I might say here. I have a degree in English Literature and Language and very good language and editing skills – BUT, I’m not perfect and I HAVE NO ILLUSIONS that I might be. Without or before outside editorial help, what can one do? Always, always, leave the work to read again. Short articles or blogs, irritated letters to your publisher – you might get away with an overnight gap. Anything longer, a minimum of a week. The reason for setting a MS aside is that you come back to it with the eye of a reader. Put into Find and Replace a hair colour or the words green/blue/grey eyes in the hope your inability to remember the hero/heroine’s hair or eye colouring will have remained consistent throughout. In my case, it won’t. While you’re doing Find and Replace check out your word tics. My major one is redundant ‘thats’. Great way to reduce a tight word count. Write out a timeline for all the major characters and find out whether two of them have slammed a door, fallen off a horse, whatever. Good plot ideas have a tendency to hang about. In General, I start each day with a read-through. Of a novel, this will be from the top for a while, but eventually the words have piled on and time doesn’t permit. I do benefit from the red spelling warnings, but find the purpley ones hinting at grammar issues less useful. 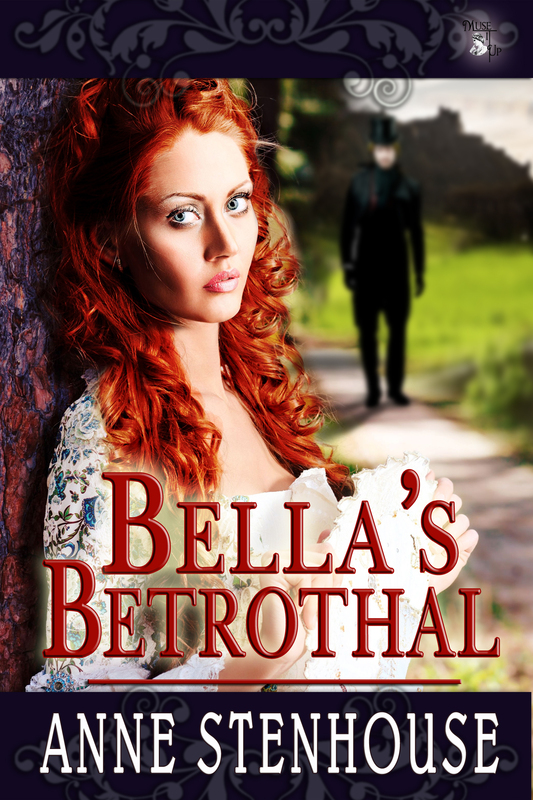 I wrote the bulk of Bella’s Betrothal during my one stint in Nano-Wri-Mo. The advice was to avoid self-editing in order to get the word count up and the words on the page. It was quite a departure to normal practice for me, but that book is full of energy. It has also been edited by me and by the wonderful Judy Roth. Fellow Robiners are listed below and perhaps you’d like to pop across and read their thoughts. Tweets and FB shares really appreciated, folks. I’ve left the household to themsleves on the domestic front and will be at the Scottish Association of Writers weekend school when this post goes up. Apologies if it takes me a while to get back to your wonderful comments – How do you cope with self-editing? This month Rhobin asked us to share a bit of writing, a short story, or a piece of Flash Fiction that encapsulates the spirit of the season. As it happens, happenstance, I have a Christmas story in Capital Christmas Stories, published yesterday and available here. Capital Writers is a group of four Edinburgh based writers who work to support and encourage each other. Writing is a lonely business sometimes and it’s good to know there are friends like Kate, Jane and Jennifer, around. Dropping down the hill from the closes and pends of the heaving Old Town to the braw wide streets of the New, was no easy task in the gathering gloom of Christmas Eve. Jeannie stayed by her side and Liza was grateful for the girl’s silent presence. Strathven’s mansion in Heriot Row would be ablaze with lights and full of his gathered kinsmen and their families. How would she gain access when the lady of the house had come to her secretly and was perhaps already lying-in. “He is not, and nor should he. But we have an ally. We can ask for Mistress Gowans who was with Lady Margaret when she came visiting,” Liza said. The voices in her head were little calmed by her tisane and she longed for the support of another practitioner. She wondered if throwing Ragnall MacLeod out without hearing his arguments had been precipitate. The mews behind Heriot Row were active. Grooms and their families bustled about in the narrow confines. Liza smelled the wood smoke and horse manure, the ordure running in the central gutter and the tang of blood. No doubt the maisters had brought meat from their estates to make a Christmas feast for the workers. Unheeded in their down-at-heel garb, the women moved forward. So, is it Christmassy? You, the reader, must decide, but I, the writer, wanted a birth, the included and the marginal, the stable and the Grand House. 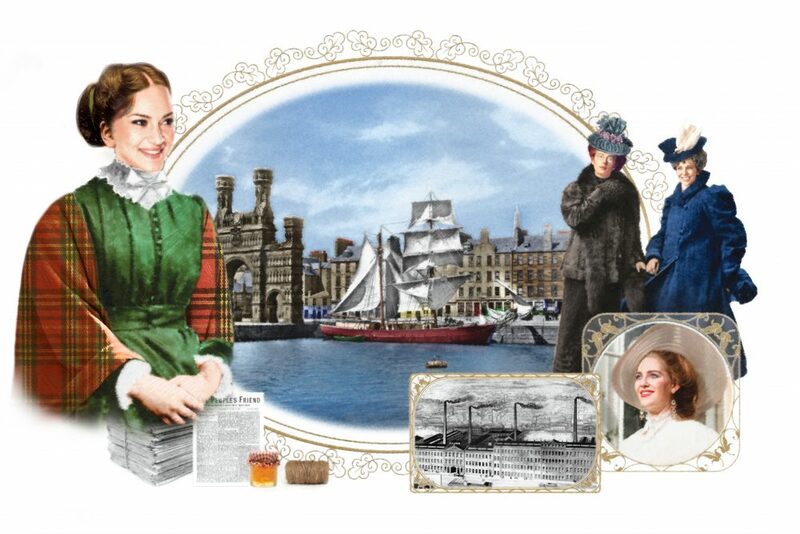 For a limited period Capital Stories, our earlier volume, may be free to download. In other news, I have a Biggy coming in January, check back for details. This month’s Round Robin question is about Viewpoint. How do we as writers tell the story, show the characters’ emotions and switch between them? My normal mode is 3rd person character. That means, I am in one head at a time, but as the author. I don’t find 1st person easy to write. I enjoy reading author omniscient, but haven’t found it attractive enough to tempt me. I’ve never written anything in 2nd person where you might have used 1st, but are allowing a bit of outside observation and comment. Generally, my novels will employ two central viewpoints. They will normally be the hero and the heroine. I enjoy pitting an attractive couple against one another and I like to see the same problem from two perspectives. So, in Mariah’s Marriage, Mariah is determined to save Arabella from her brother’s violence, but Tobias is equally determined that doing so would put Mariah herself in danger. It’s a conflict of opinion. We, the reader, see Mariah enlist the help of her maid to outwit the considerable obstacles Tobias has placed in the way of her leaving the house. Eventually, we understand why Tobias has acted the way he has and, tension mounting, we’re in his head as the drama unfolds. I think that’s why I find 1st person difficult. There just seems to be so much more needed by way of comment when that single voice has to keep filling us in. Things like ‘Of course, I didn’t know at the time, but Tobias thought I was dead.’ – are well enough, and often skilfully handled, but I prefer to be in Tobias’s head while he’s doing that thinking; while he’s doing that sufferring. The serial I wrote for People’s Friend in 2016, A Traveller’s Life, had several voices. I enjoyed that a lot. It was liberating to leave the (self-) imposed discipline of two voices and allow one or two more to take centre stage. Again, the dramatist in me loved hearing what all these people thought. However, it’s not unbridled by any means. People’s Friend like their serials presented in ‘chapters’ so each one had a central Viewpoint. I was not head-hopping. So, here’s the divide – what is head-hopping and why do some editors permit it? Head-hopping is where the author allows everybody and his auntie to have their say – in one chapter, sometimes – I’ve seen it done – even in the same paragraph. Personally, I find that way of writing too confusing for words. I want to know who I’m rooting for and whose story is the one being told. The Raj Quartet by Paul Scott is a modern tour de force and some of it tells the same story over. However, Scott uses different books to do this and that’s not a luxury offered to all. I have a short historical story in a new anthology by Capital Writers, Capital Stories. It’s available for your kindle and a wee snip at 99p/$1.37. Round Robin – What Makes a Memorable Character? What Makes a Memorable Character? this is Rhobin’s December question. Who are your memorable characters? This, for a person like me who cannot remember names, is a very difficult one to answer. I had hoped to start my post with a quick-fire list of the fictional characters who’ve stayed with me, but I’m going to have to look up some of the names. That makes me wonder whether it’s the character I remember or the characteristics. Rolling it all up, characteristics make the memorableness – is that a word? Spell checker doesn’t like it much. Robin Hood, Anne of Green Gables, Scarlett O’Hara, the Snow Queen, The Saint, James Bond, Karen Brockman and anyone from the cast of NCIS. These people exemplify the cloyingly good, the selfishly or evilly bad and the delightful mixture that stops you pigeon-holing them. Robin Hood was on tv on a Thursday afternoon during my childhood. His adventures were unmissable and, as we had a bit of woodland behind the house, we could pretend. Sheer escapism as one learned later. Why wasn’t Richard back in England running his own country instead of despoiling someone else’s? I still have a faint scar on my thigh from crawling through long grass stalking something or other and crawling over a bit of glass! It’s hard to find any reading lady of a certain age who doesn’t claim Anne as her favourite childhood book. She had red hair and a lively imagination – what wasn’t to like? Certainly her feistiness stayed with me over the years. Now, here we begin to have memorable characters who aren’t by any means role models or even likeable. She did, however, do her best in appalling circumstances and one admired – until the child died. I suppose there’re lots of ways of interpreting Mitchell’s intentions, but setting aside the ‘bad girls must be punished in the end’ philosophy, I cannot love a character whose selfishness endangered her children. The Snow Queen kept me awake as a child. It was my first encounter with the power of evil and a much more realistic characterisation than the wicked step-mothers that panto reduced to – well, panto. The Saint and James Bond I’ve mentioned before that I wrote a major sixth form essay on the anti-hero. These are the chaps to blame for that fascination: or maybe it was just Roger Moore’s raised eyebrow? I notice my own heroes often raise an eyebrow, too. Karen Brockman, and I did have to look up the name, is the youngest child in the sit-com Outnumbered. The episodes were not scripted, but suggested to the child actors and Karen had some wonderfully effective scenes. Played by Ramona Marquez, the character could turn any expectation on its head. The character is a wonderful example of the self-absorbed and the mayhem that trait can wreak. NCIS I loved the original series and many of the subsequent ones. Changes in the ensemble cast lost Cate, Jenny and Mike Franks. Again blatant escapism with larger than real-life characterisation and super-complicated plotting. I no longer watch as I find some of the chemistry gone and some of the plotting improbable to a degree. So what memorable traits have I given my characters? I would say Mariah is determined. Bella is courageous. Daisy is self-aware, but it’s hard won. Melissa is brave in the face of enormous adversity. The character I’m writing at present will also need dollops of courage to get over her conservatism. Or, as we say now, leave her comfort zone. Round Robin – In What time period do set your stories? Topic: In what time period do you prefer to set your stories – past, present, or future? What are the problems and advantages of that choice? Would you like to change? Unequivocally, I like to set my stories in the past. I do write short stories in the present, but I don’t remember ever having a go at the future. THE PROBLEMS of writing in the past are two sides of the same coin, On the face of it is the problem created by not having been there. On the reverse is the problem created by having been there. Scottish Regency I wasn’t around in the latter years of George the Third’s reign and his son’s extended regency, but there is ample research material. Books, papers, art, furniture, the laws made, the laws enforced and, the real glory, the Georgian buildings still standing in many British cities. Edinburgh has its magnificent New Town and outriders like George Square where Bella’s Betrothal is set. I can look up the street directories and find out who lived in which house and what their occupation was. You can’t do that today! I was there and many, many of the thousands of folk who read my debut serial in The People’s Friend last year, A Traveller’s Life, were also there. Memory is a tricksy business. The facts may well be indisputable, but their interpretation most certainly is not. I have two friends from my early schooling who grew up in the village I did and the neighbouring one. Consulting them helped enormously because the sister of one not only remembered the nature of the District Nurse’s uniform and the blue lamp at her gate, but also her name. Another friend had worked as a District Nurse and provided me with the wonderful insight: “And you kept your hat on – no matter the procedure being undertaken.” A little thing, but annoying to the many wonderful ladies (I think that’s right, only women) who undertook such essential work, if you get it wrong. For me, the principle advantage of writing in the past is perspective. As a writer of fiction I do have a ViewPoint character and the story will be skewed to show that person’s perspective. Writing years after the type of event in the story allows me to have read and thought about what might have happened in those circumstances and what might have provoked it or even resolved it. I may have to give a particular VP, but I can at least allow the others to break the surface of memory’s pool. Maybe. I do have one or two stories I want to tell in the present rather than through the lens of the past. It is, however, very difficult when living amidst the glories of Edinburgh’s New Town and visiting on a fairly frequent basis the wonderful sweeps of London’s great Georgian streets and their magnificent parks, to drag myself into our world of ‘normal’. It’s a mixture. I’ve got a Scottish Regency on the go having been primed by writing a short story for Capital Writers (more on another occasion). I have a scatty heroine and a set of loveable rogues poised on the threshold of adult responsibility. I’m also, the Fiction Editor mentioned it in her blog two weeks ago, writing a contemporary serial for People’s Friend. Round Robin – Description – How Much is Too Much – Too Little? Description I remember a writing lesson exercise at primary school. The task was to describe the living room of our house. It was a huge joy when the teacher said of my piece that he would be able to walk into that room and not bump into anything because my description was so careful, he knew where everything was. So, is that degree of detail appropriate for the kind of historical fiction I write now? I don’t think so. I prefer to give the reader a few clues and allow them to visualise countryside, room, people, animals, in their mind’s eye. I like to think that a clue will conjure a world. I think this little snippet of description not only tells us what Tobias looks like, but how overwhelmed Tilly is and, indeed, how Mariah, too, is succumbing. Our topic also asked whether I skimmed description when reading a book. Oh dear, yes I do. I am most likely to skim scene-setting description. It’s very unfair of me and maybe I should try harder, but honestly, I want to know the characters are in a dental surgery or a fast-food outlet, but I don’t need to know what colour the paintwork is. Unless, of course, that’s relevant to the plot. I don’t use either prologues or epilogues in the four novels I’ve published so far. It is fair to say that Daisy’s Dilemma carries on the story of Lady Daisy and by doing so tells any interested reader what happened after the first book, Mariah’s Marriage, ended. But that is novel length and hardly a short rounding off of anyone’s story. Prologues almost, but not quite, fall into the same category as Introductions for me. I don’t read them before I read the book and sometimes not even then. Is this impatience to be getting on with the story? Is it arrogance? Why do I need to have someone’s view of a subject before forming my own? Prologues of course are little tasters. They plant a hook deep in the reader’s brain about what happened to, or in the life of, one of the characters who are about to unfold on the book’s stage. I prefer to have all of that in my story. Maybe it’s just a question of stylistic preference. Epilogues round off or flesh out the ending the reader has been presented with. Just in case one was unsure doubt is removed. Yes, there was a happy ending and here is how it evolved. No, it was a bittersweet ending and here is how it evolved. Oh dear, the baddie was rescued by a passer-by and is recovering in hospital to plague the hero and/or heroine in another book. Personally, although I do read epilogues, I like my own imagination to have room to weave an ongoing fantasy. Our full topic asked if you could have one without the other. I don’t see why not, but perhaps my fellow bloggers have reasons. Catch their opinions below. September Round Robin – do you have eccentric writing practices – Pardon? What writing practices do you have that you think are eccentric or at least never mentioned, but you find helpful? 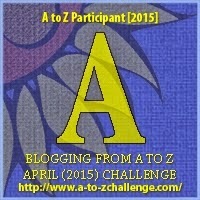 – is the theme or topic for September’s Round Robin post. If they’re our practices will we be aware that they’re eccentric? If we are, do we keep quiet about them lest others think we’re eccentric – or because we sense an unfair advantage? And how do they constitute an eccentricity in writing terms? Well, when it’s going well, they’re a wee reward. when it’s going okay, they’re a sugar rush to the head. When it’s going badly – well there are worse things to do than eat a teacake – or two. Maybe I was supposed to tell you about long-hand drafts or my portable type-writer; the folders of tourist information brought back from trips abroad and never again consulted, but I know they’re there if needed; the xxxx dotted through MSS so I can find the places in need of corroboration or checking; the frantic ‘find and replace’ searches in final edits so that the heroine’s hair and eye colour is the same throughout. My fellow Round Robin friends may have more curiosities for your delectation. They can be consulted by clicking on the links below. In the meantime, I’ll unwrap a teacake, designed by Boyd Tunnock for the family firm in Uddingston in 1956. Really exciting news this month because I can also tell you about a new book in the production process. You’ll have to check back for the cover Reveal and publication date, but meantime, TA RA…………………………………………………………. COURTING THE COUNTESS will be my 4th published full-length romance when it comes out from Endeavour. It’s the story of a young woman whose beauty has been lost in a fire. As such, Courting the Countess, is a most appropriate study for this month’s round robin feature: What mental, physical or spiritual wounds or scars have you used in your stories? Courting the Countess began life as an entry for the Elizabeth Goudge Award competition when the then RNA Chair, Christina Courtney, asked for a novel opening based on a fairy-tale. WHAT IF, I thought, the Beauty was the man and the Beast was the girl? Easy enough to create a physical illness or disability for one of the characters, but what implications does the loss of beauty have for a person? Lots, I would say and thereby was my story found. Injuries and pain bring with them a loss of confidence and zest for life. Can my hero restore her? What spiritual wounds might he be living with that help or hinder him in this task? There have to be some, I think, in a well-rounded novel or the light and shade is compromised. Courting the Countess, like my other books also has a lot of fun, dry wit and period detail – 1819, Scottish Regency, Edinburgh. As a writer I don’t believe in whacking the reader with mental, physical or spiritual burden all the way through. Life is a kaleidoscope, but the heroines of any romance need a fair bit of angst to work through and show their characters to best advantage. How emotionally involved are you in writing some scenes is the question posed for this month’s round robin. Well, it’s a biggie. I think the emotion I personally find hardest to deal with is disappointment. I’m writing this on the 24th June 2016, so many in the UK will know disappointment this morning and throughout the whole day. I’ve just had a peek at Facebook and astonishing stuff is coming through. People who voted ‘Leave’ (the European Union) because they didn’t think their vote would count so it wouldn’t matter (Eh?). People who believed Eurocrats made the laws – where were they when the rest of us were voting for our MEPs? However, we’re talking writing here and as I write romance with lots of ups, downs and round-abouts, there’s enough emotion to find a few heart-wringing moments to tempt you. Mariah’s Marriage is shot through with disappointment. Sir Lucas is disappointed he could not snare the Earl for his sister. Lady Mellon is disappointed she cannot secure a suitable wife for the heir. 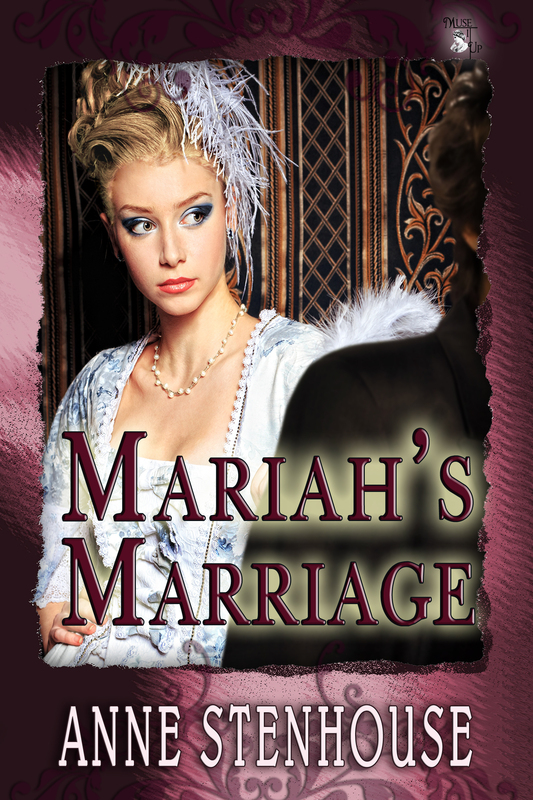 Mariah is bitterly disappointed she cannot continue her life teaching because the earl has trapped her in a compromising situation. I really felt that tug between what one wanted to do and what one must do. And I hugely enjoyed the resolution which I was able to write with, I hope, laugh-out loud farce. Bella’s Betrothal charts the resolution of disappointment because Bella feels abandoned, if not even cast off, by her family. I really invested in the scenes early in the book when she tries to defend herself against the pragmatic arguments and physical attractiveness of Charles Lyndsay. Well, how do you choose the lesser danger of a bogeyman out there and a heart-stoppingly attractive man in your room at the inn? Daisy’s Dilemma springs out of disappointment and it’s all the more poignant because Daisy doesn’t see it coming. Actually, as the creator, neither did I. Reuben Longreach’s voice caught me a little by surprise, but I soon grew to love him dearly and I wrote one or two of his scenes entirely wrapped up in him. I refer a lot throughout this book to The Foundling Hospital where mothers could leave the babies and small children they were unable to keep. Some were never re-united. Today in Camden, within walking distance of King’s Cross, you can visit the Foundling Museum which sits in some of the original buildings and in Coram’s Fields. The display case exhibited there of the tokens – sometimes a button or scrap of a shawl – by which mothers hoped to identify their baby should life improve and they could reclaim them, is deeply moving. So, yes, I was emotionally very involved in writing much of this book.